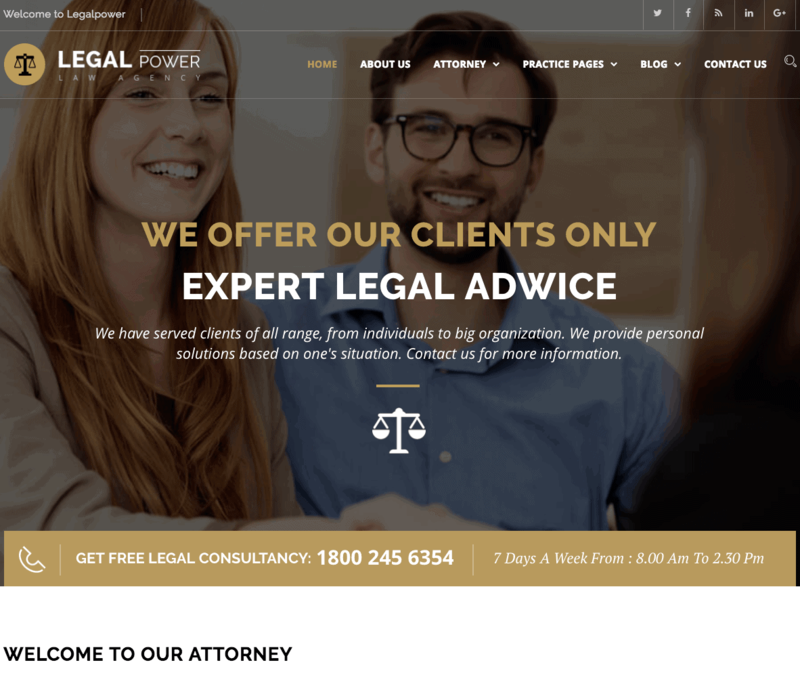 Give your legal business the online presence it deserves by quickly setting up an efficient website with the practical and professional lawyer and attorney WordPress theme, Legal Power. Specifically designed to suit legal services and attorney services, this theme is easy to understand and install, even if this is your first attempt at creating a website. Use pre-built pages to start, and continue building your website by dragging and dropping components from the Page Builder of the WPBakery Visual Composer to complete your website. Also customize the look and feel of each page to the smallest detail by choosing from a range of stunning design details, colors, header variations and more. Powered by Bootstrap technology, your customers can easily access your website on their chosen electronic device. Tour our live preview or install the quick demo to explore more of what Legal Power has to offer. With a dedicated customer channel and extensive documentation on the theme, you will have no difficulty setting up your legal website with this template. Impress your clients with its easy-to-navigate style and experience the difference of owning a website that takes your business one-step ahead of the competition.